The exhibition, "The Bridges of Dee" took place in the Llangollen Museum, with a Private View in the evening of May 2. The exhibiton was advertised in the several painting magazine and in the local press, and was well attended. Nearly half of the pictures were sold in the course of the exhibition. Two of my paintings, "Lakeland Waterfall", and "The Rolling English Road", formed part of the "Capturing Spring" exhibition at the Ian Walton Gallery in Farndon. Gallery opening hours can be found on Ian's website. Do support his new venture if you can! I will be holding an exhibition of the paintings of The Bridges of Dee, in the Llangollen Museum. The exhibition will run from May 3rd to May 28th, and will be open every day except Wednesdays, from 10am to 4pm. I am considering having some notelets or postcards printed, but - using which pictures? Decisions, decisions! If you have a suggestion, please email me! Details of the prgramme for the classes beginning in September are on the Tuition page. This time, "The Bridges of Dee" was featured in the Magazine of the Society for All Artists (SAA Magazine)! 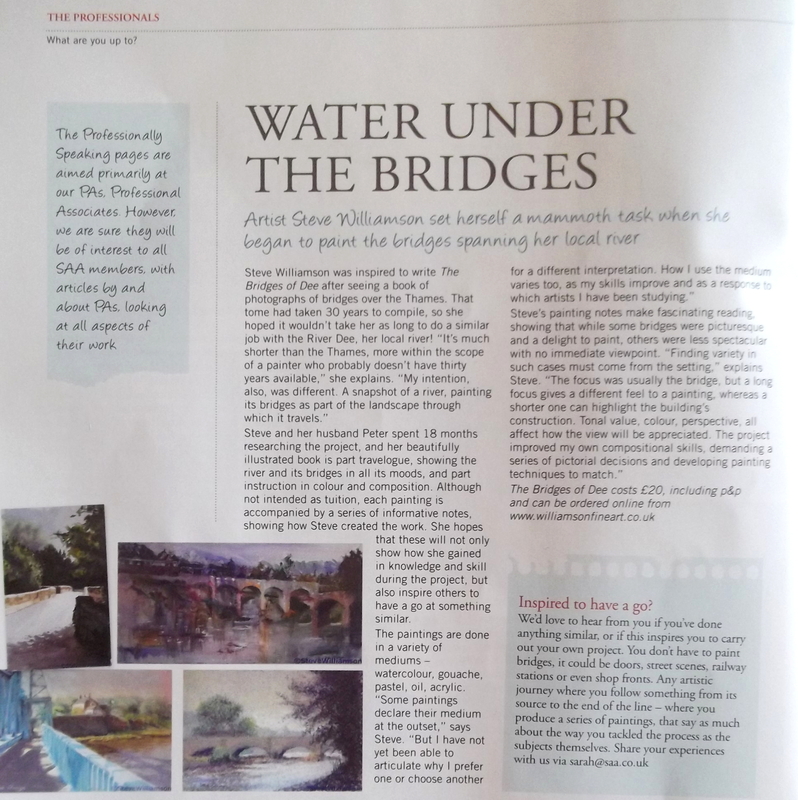 "The Bridges of Dee" was featured in "Leisure Painter" Magazine!